Stock Low : 251 items left. 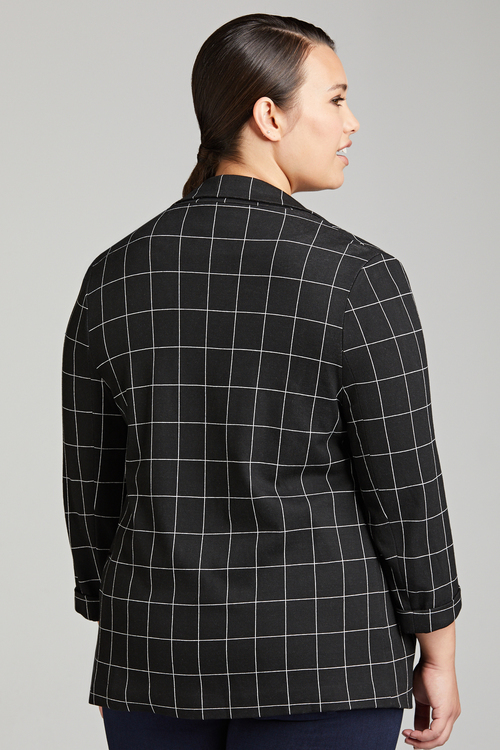 Sara have taken a wardrobe classic and given it a chic and sophisticated update with the Roll Cuff Jacket, a versatile and fashionable new style in a choice of two must-have colours, featuring a flatterig fit and rolled cuffs for an edgy-chic vibe. It's cut from a quality blend of fibres including durable viscose and nylon for the right amount of stretch, with plenty of pockets and a comfy lining. Wear yours with skinny trousers and a satin blouse, finishing with a statement necklace, strappy block heels and a matching clutch purse.